Just a couple of items that came through my ‘in-box’ in recent times. From the Payson Roundup newspaper of the 9th October, last. Southwest forests are already in the early stages of a mega drought brought on by climate change. 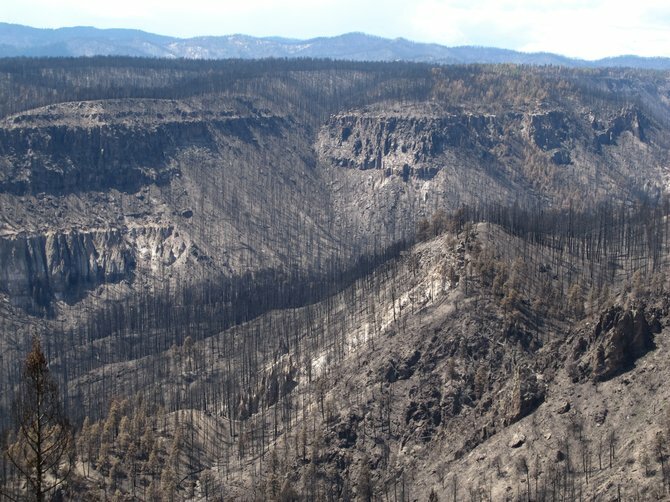 Southwest forests are already in the early stages of a mega drought brought on by climate change that will result in massive tree die-offs and sweeping changes in Rim Country forests, according to an analysis published in the scientific journal Climate Change. Severe drought will dominate much of this century, creating stresses on forests not seen for more than 1,000 years, according to the research that used tree ring samples from 13,000 trees, historical rainfall records and computer projections of future climate change. The shifts will likely dramatically shrink the world’s largest ponderosa pine forest in northern Arizona, replacing pines with junipers at elevations like Payson and replacing junipers with chaparral and cactus at lower elevations. Unfortunately, the team’s climate prediction models suggest that within the next 40 years the region will fall deep into mega drought conditions. The models predict that even the wettest, coolest years in the late 21st century will exceed mega drought levels. In that case, the drought conditions of the past decade will prove the new normal rather than a bad stretch. 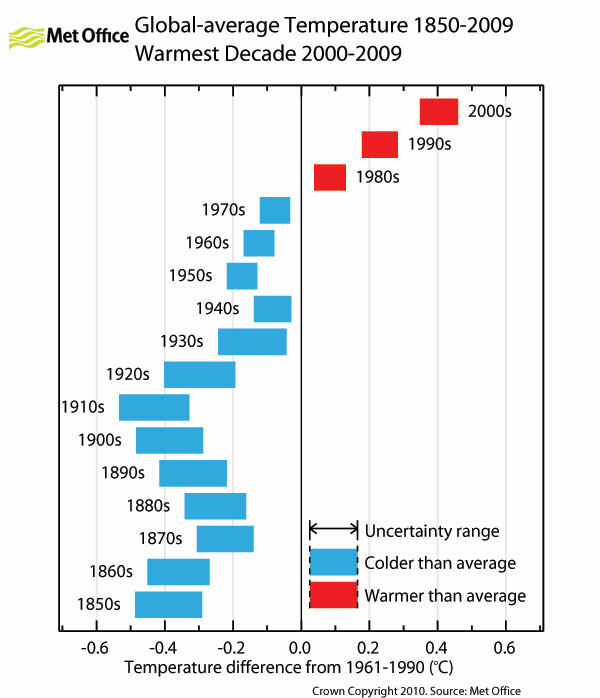 Williams noted that while winters in the past decade haven’t been exceptionally dry, summer temperatures have soared. As a result, the stress on the trees in the past 13 years has exceeded mega drought levels about 30 percent of the time — conditions not matched for the previous 1,000 years. Now to a more positive message, this one from Climate Denial Crock of the Week for 10th October, 2012. One of the clean little secrets about dealing with climate change, is that if we make our cities more efficient, and reduce their carbon footprint, we will also make them more resilient, quieter, more comfortable, more human scaled, more inviting, and more fun. As global temperatures rise, urban areas are facing challenges in keeping their infrastructure and their residents cool. Chicago is tackling that problem with a green design makeover. This report is part of our Coping with Climate Change series. More on the many and varied approaches to this complex subject. Again, a long piece which, dear reader, I hope you will stay with. Part Two isn’t attempting to indicate the truth, just the many opinions out there. I think that the propaganda from the fossil fuel and other feudal plutocracies have confused the issue. The primary problem is not “climate change” (aka planetary heating/broiling).I am not confused, because it’s NOT about climate change. Climate change is a second order effect. It may, or may not happen, short term. The gist of my essay is that climate change will NOT happen, short term, if the sun cools down spectacularly, as it did TWICE in the last five centuries (~ Little Ice Age). The way to look at things correctly, thus, is CO2 POISONING. Even if the sun cooled down spectacularly, as I emphasized, the ACIDIFICATION of the oceans would proceed unabated. After killing the oceans, if the sun goes back to normal, the greenhouse would rebound enormously. OK, a useful footnote to yesterday’s piece. But then if one goes back to Patrice’s original article on his Blog on 31st May, 2009 and reads the comments, you find this, (and I’m going to quote entirely from Mr Day’s comments). “This suggests that terrestrial ecosystems and the oceans have a much greater capacity to absorb CO2 than had been previously expected.” From Pysorg.com of November 10th, 2009. From EARTHQUAKES – WHAT ARE THE LONG TERM TRENDS? “A total of 1,085 earthquakes measuring magnitude 6 or greater occurred between 1980 to 1989, averaging 109 per year over the decade. In the 1990s the decadal total increased to 1,492 averaging at 149 major earthquake per year over the period. Since January 1, 2000 [ see table below for the date and time] a total of 1,438 major earthquakes have so far occurred worldwide raising the annual total over the last 9 years to 160 with more than 12 and a half months to go to the decade’s end. The United Nations Intergovernmental Panel on Climate Change (IPCC) released its Fourth Assessment Report (AR4) in 2007. Here we show that the accurate value for climate sensitivity is 0.277 K/(W/m^2), which is 3 times smaller than the generally accepted value of 0.8 K/(W/m^2). Thus the climate change on doubling CO2 from 300 ppm to 600 ppm will be 1.0 degree, not 3 degrees. Because the IPCC data show that doubling CO2 will not double absorption of infrared radiation, the Beer-Lambert law is not being followed, because of diminishing returns after more-than-50% absorption. 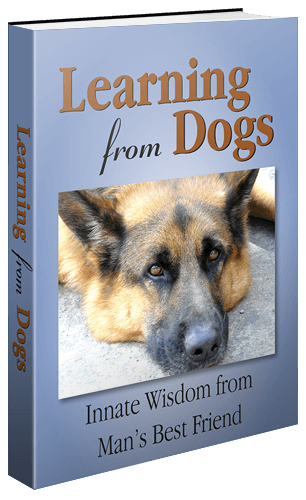 This article by Roger Taguchi, 234 Knox Crescent, Ottawa, Ontario, Canada K1G 0K8, e-mail address rtaguchi@sympatico.ca, was posted on Monday Aug. 31, 2009. Then just a small selection from other items posted by Barry (to see the full extent of Barry’s comments, do go to Patrice’s original post here). Galapagos volcano erupts – lava flowing into the ocean 12 Apr 09 – Again, we have 2,150-degree lava pouring into the ocean – ten times the boiling point – and we keep blaming humans for heating the seas. Underwater volcano building new mountain 7 May 09 – “An active underwater volcano near the island of Guam erupts so frequently that it has built a new cone 131ft high (13 stories) and 984ft wide in just three years. 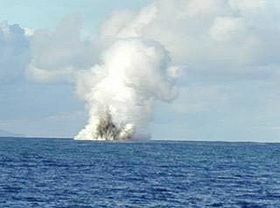 Undersea volcanic eruption in Tonga heating the water? 19 Mar 09 – Sea Surface Temperature (SST) maps show a warm anomaly in the Tonga that extends off to the east. Is that a result of the underwater volcano, or just a coincidence? amounts of pumice from the volcanowill likely clog beaches on the southern coast of nearby Fiji islands shortly. Global warming may be caused by underwater volcanoes (Which I’ve been saying for years) 8 Dec 08 – A new study shows that the rise in land temperatures can be tied directly to increased heat and humidity coming from warmer oceans, which in turn may be caused solely by natural forces, including underwater volcanoes. Geothermal heat may be melting the Greenland glaciers Nov 2007 – “Hansen’s model is wrong! In reality, the Greenland and Antarctic ice sheets occupy deep basins, and cannot slide down a plane. Furthermore glacial flow depends on stress as well as temperature, and much of the ice sheets are well below melting point. World’s deepest chain of undersea volcanoes to be explored 1 Sep 08 — Scientists at the National Oceanography Centre are set to explore the world’s deepest undersea volcanoes five kilometers beneath the Caribbean. ‘Black smokers’ found in Arctic Ocean 4 Aug 08 – Jets of searingly hot water spewing up from the sea floor have been discovered in a far-northern zone of the Arctic Ocean, Swiss-based scientists announced Monday. vents of scalding liquid rising out of the seafloor at temperatures that are more than twice the boiling point of water. Undersea volcanic activity blamed for mass extinction 93 million years ago 16 Jul 08 – Researchers from the University of Alberta, Canada, find evidence of underwater volcanism in rocks dating to a mass extinction 93 million years ago. Huge Underwater Volcanoes in the Arctic Ocean, but scientists see no significant connection to melting ice? 27 Jun 08 – The eruptions discharge large amounts of carbon dioxide, helium, trace metals and heat into the water over long distances, but scientists see no significant connection to melting ice. Giant Undersea Volcano Found Off Iceland (And we wonder why the oceans are warming) 22 Apr 08 – It’s an active volcano that rises about 3,300 feet (1,000 meters) above the surrounding sections, coming within 1,300 feet (400 meters) of the surface. Hawaiian volcano pumping more lava than usual into the ocean 5 Jul 08 – The Hawaiian Volcano Observatory said Saturday that Hawaii’s Kilauea volcano is pumping more lava than usual into the ocean. and blown the tops off dozens of submarine volcanoes, four kilometers below the ice. And we wonder what is melting the ice. Underwater Volcanic Eruptions, Not Meteor, May Have Killed Dinosaurs New discovery validates theories in Not by Fire but by Ice 30 Oct 07 – “A series of monumental volcanic eruptions in India may have killed the dinosaurs 65 million years ago, not a meteor impact in the Gulf of Mexico. We’ve forgotten that this isn’t the first time our seas have warmed. 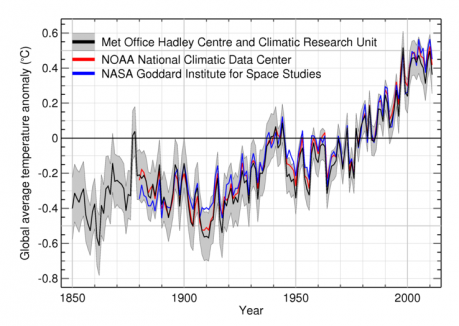 Sea temperatures also shot upward 10º to 18ºF just prior to the last ice age. As the oceans warmed, evaporation increased. The excess moisture then fell to the ground as giant blizzards, giant storms and floods (Noah’s Deluge type floods), and a new ice age began. We are living in a period of vastly increased volcanism, said Dixy Lee Ray in her 1993 book Environmental Overkill, the greatest in 500 years. Eighty percent of all volcanism (say experts at NOAA) occurs underwater. Therefore, underwater volcanism should also be the greatest in 500 years. Our seas, heated by underwater volcanism, are leading us directly into the next ice age . . . and we don’t even know it. That’s what El Niño is all about. Warmer seas send excess moisture into the sky, leading to increased precipitation. Worldwide flood activity is the worst since before Christopher Columbus. In Poland, it’s the worst in several thousand years. In the U.S., precipitation has increased 20 percent just since 1970. This is no coincidence. When that precipitation begins falling in the winter, you have the makings of an ice age. South America’s oldest trees give up the ghost of climate past. They’ve been dead for over 50,000 years, but South America’s longest-living trees still have a few tales to tell. A new study of the growth rings of partially fossilized trees in southern Chile hints that the global climate before the last ice age was rather like today’s. Barry mentions Kavachi Island and I did a quick search and came up with this. Kavachi is one of the most active submarine volcanoes in the south-west Pacific Ocean. Located south of Vangunu Island in the Solomon Islands, it is named after a sea god of the New Georgia Group islanders, and is also referred to locally as Rejo te Kavachi (“Kavachi’s oven’). The volcano has become emergent and then been eroded back into the sea at least eight times since its first recorded eruption in 1939. In May 2000, an international research team aboard the CSIRO research vessel FRANKLIN fixed the position of the volcano at 8° 59.65’S, 157° 58.23’E. At that time the vent of the volcano was below sea level, however frequent eruptions were ejecting molten lava up to 70m above sea level, and sulfurous steam plumes up to 500m. The team mapped a roughly conical feature rising from 1,100 m water depth, with the volcano having a basal diameter of about 8 km. When the volcano erupted in 2003, a 15-meter-high island formed above the surface, but it disappeared soon after. Additional eruptive activity was observed and reported in March 2004 and April 2007. Kavachi erupting May 14th, 2000. If today’s rising carbon dioxide are caused by humans, what caused the dramatic rise in CO2 levels at the dinosaur extinction? If today’s rising carbon dioxide are caused by humans, then what caused the dramatic rise in CO2 levels at the dinosaur extinction? Research shows that there was “a sudden and dramatic rise” in carbon dioxide in the Earth’s atmosphere at the dinosaur extinction of 65 million years ago. A recent report attributes the rise in CO2 levels to an asteroid impact. I disagree. I think today’s rise in CO2 levels can be attributed to our warming oceans. After all, the oceans are known as a carbon dioxide “sink,” especially when the water is cold. But as the water warms up, it releases CO2 into the atmosphere. This happens in much the same way that a warm bottle of home-brewed root beer will release CO2. And if you give that CO2 no way to escape, the bottle will explode. We’ve got it backwards. We’ve got cause and effect in reverse. The CO2 is not causing global warming. Instead, our warming oceans are releasing CO2 into the atmosphere. It’s not global warming, it’s ocean warming, and it’s leading us into an ice age. 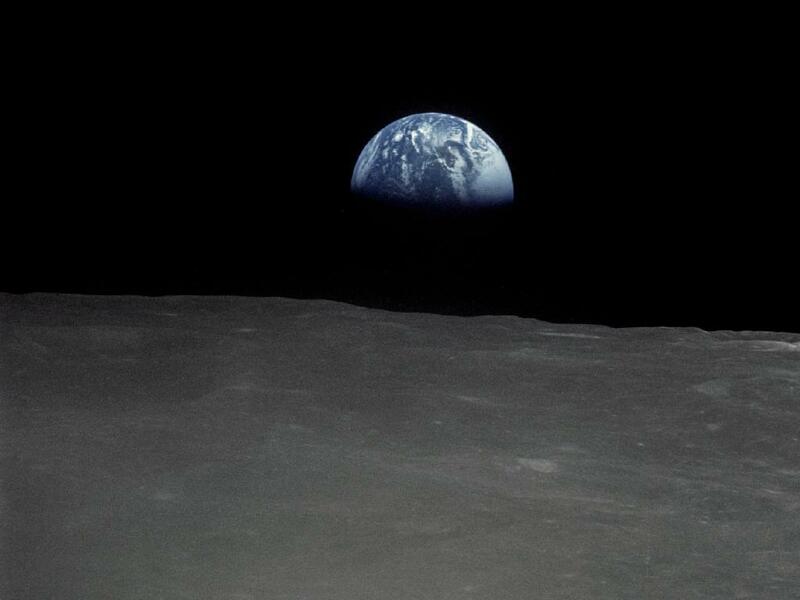 “Even with needed corrections, data still don’t show the expected signature of global warming,” says Dr. Roy Spencer, Senior Scientist for Climate Studies NASA/Marshall Space Flight Center. Scientists are working to understand why the lower atmosphere isn’t heating up as fast as some global warming models predict. July 21, 2000 — The question sounds like a Zen koan: How could the globe be warming and not warming at the same time? 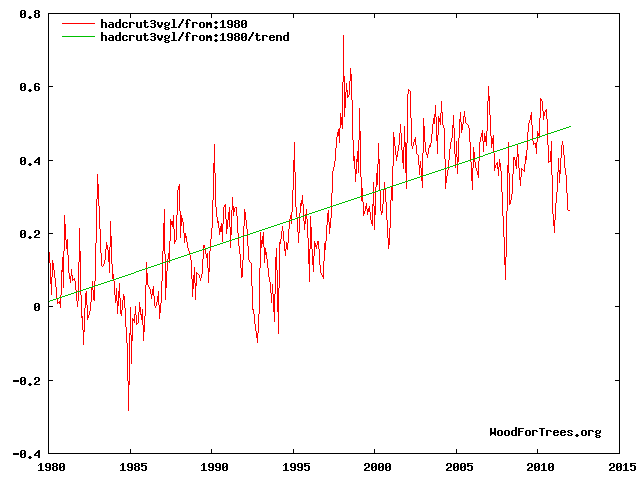 That’s the riddle posed to climatologists by satellite and radiosonde data which show that while the Earth’s surface has been warming over the past decades, the lowest layer of the atmosphere shows a weaker warming trend. The measurements are surprising, because computer simulations of the world’s climate predict that the two lowest layers of the atmosphere — which together form the “troposphere” — should be warming faster than the Earth’s surface. “The role of clouds is still regarded as one of the biggest uncertainties in global warming predictions,” Spencer said. The ability of plants to remove carbon dioxide from the atmosphere and the role of soils have only recently been added to the models, and scientists aren’t confident yet of how the models portray these factors, Spencer said. “While we know that vegetation takes up some of the carbon dioxide we generate from burning of fossil fuels, how that sink of carbon will change in the future is still pretty uncertain,” Spencer said. “The global models would be much better if computers were much faster,” Spencer said. “Instead, a lot of approximations are made to make the models simple enough to do climate simulations over the whole globe. The Global Hydrology and Climate Center is a joint venture between government and academia to study the global water cycle and its effect on Earth’s climate. Jointly funded by NASA and its academic partners, and jointly operated by NASA’s Marshall Space Flight Center in Huntsville, Ala., and the University of Alabama in Huntsville, the Center conducts research in a number of critical areas. OK, that’s enough from me for today. Clearly it would take a great time for a layman, such as yours truly, to go through all this material, and more, to determine the truth of it all, to the very best abilities of science. For the verdict on whether man’s increased generation of CO2 in the atmosphere is having a global effect on the global climate should be in the hands of scientists. Once science has shown cause and effect then, and only then, should politicians endeavour to offer the way forward for society.